An ordained Christian Church (Disciples of Christ) minister, Jim has been the pastor of New Horizons Christian Church in Akron, Ohio, since 2003. 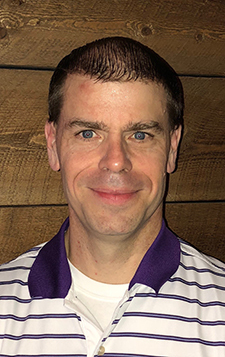 He previously served on the staff of the Christian Church in Ohio for eleven years, including roles as director of Camp Christian, director of the Region’s New Church program, and as a consultant to local congregations. He is trained in conflict mediation, coaching, and other disciplines. Jim holds degrees from Wittenberg University, the Methodist Theological School in Ohio, and has been awarded the title of Kentucky Colonel. He began serving local churches upon graduating from Harvard Divinity School in 1981. Having made assessment visits for Hope Partnership in more than thirteen states, Jim is always impressed at how much people love their churches and their communities. In one particularly memorable instance, he was awarded the honorary title of “Duke of Hazard” by the mayor for his work with a local congregation in Hazard, Kentucky. Jim and his wife Holly reside in Hudson, Ohio. They have two grown sons and two grandchildren, with whom they love spending as much time as possible. In addition to his family and his work, Jim’s major passion is running. He has run half marathons, marathons, and is part of a relay team (The Dirty Dozen) that runs 200 mile races. 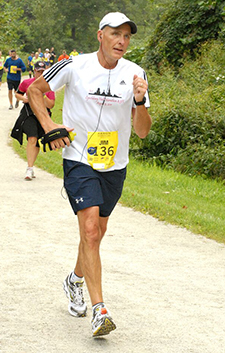 During races, Jim can usually be identified as one of the oldest and slowest participants. Steve is living out a lifelong passion for being the kingdom of God in the midst of the world. Somehow the churches he serves always seem to end up ministering to those on the margins, whom Jesus often called “the least of these” and sometimes called family. These ministries have included homelessness, addictions, affordable housing, soup kitchens, shelters, food pantries, and other ways of reaching out to a world of need. He is convinced that the church is sent out into the world in mission. 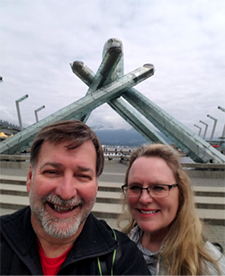 Prior to entering pastoral ministry, Steve worked in healthcare management for over a decade, largely in addictions treatment and psychiatric hospitals. He has started and developed treatment centers in three states, and brings to Hope Partnership both management and pastoral leadership experience. 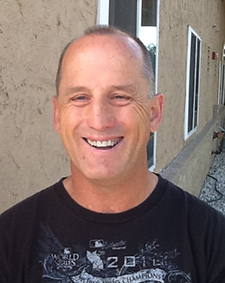 Steve received a Master of Divinity from Christian Theological Seminary and has been a pastor in the Christian Church (Disciples of Christ) for over twenty years, serving churches in Indiana and California. He is currently the Transitional Interim Minister at East Lynn Christian Church in Anderson, Indiana. He and his wife and daughter live in Indianapolis and, when time permits, he can be found playing guitar, writing songs, and sometimes writing fiction. Frank is pastor of Greenfield Christian Church (Disciples of Christ), where he has served since June of 2013. Before that, he served congregations in Oklahoma, Texas, Iowa, Nebraska, Florida, Missouri, and a previous stint in the Hoosier state at Crawfordsville. He is a graduate of Phillips University and holds a Master of Divinity from Phillips Theological Seminary. Frank has a special passion for preaching and teaching and keeping the church relevant. He also believes the church needs to serve the needs of the people in the community and around the world. He has developed a special connection with Global Ministry partner projects in India and has participated in and helped lead three mission trips to India in recent years. His relationship with Hope Partnership began three years ago as his own congregation went through the New Beginnings process. Seeing how helpful it was and continues to be to his church, he enthusiastically agreed when invited to be trained as a congregational Assessor. Besides his church responsibilities, Frank has two adult children, Monica and Spencer, who are off chasing their dreams. In his spare time, he is an avid baseball fan, enjoys hiking and biking (the kind you peddle), movies, concerts, the symphony, and musical theater. He is always glad to interrupt whatever he is working on to sit down and have a good visit over a cup of coffee. Roger has served as the Transitional Senior Pastor of Disciples Christian Church in Cleveland Heights, Ohio, since 2015. He formerly served as Associate Regional Minister with the Christian Church in Ohio (Disciples of Christ) from 1997 to 2005. Roger’s ministry has taken him to churches in Hiram, Kent, and Wauseon, Ohio, as well as to Garland, Texas. He graduated in 1978 from Bowling Green State University with a degree in Music Education and Performance (oboe) and received a Master of Divinity from Brite Divinity School (TCU) in 1981. Roger was instrumental in helping to develop Hiram Farm, a Disciples-related social service agency in Hiram, Ohio, that serves adults with autism and other developmental disabilities. He was also involved from the beginning with the Disciples NBA XPLOR program and helped to develop the Hiram/Mantua XPLOR house. Roger has been married to Gail McKinney since 1978, and together they have three children: Shawn (who lives at home with them in Kent, Ohio); Erin Morse (Kansas City, MO) and Cara, who (2017-19) serves as a Global Mission Intern with Disciples Global Ministries in the Chiapas region of southern Mexico. 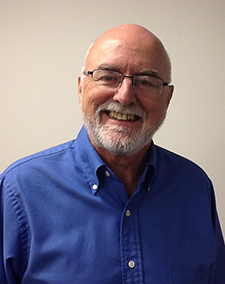 Doug has over 35 years of experience serving churches and church-related agencies. His ministry experience spans a wide array of positions, from associate pastor, to pastor, senior pastor, college chaplain, college instructor, and college counselor, as well as positions on regional (middle judicatory) staff. He has served in Texas, Florida, Missouri, Nebraska, and Iowa, and is currently the senior pastor at First Christian Church of Adel, Iowa. Doug also has served on and led regional and national teams focused on local church transformation, youth ministry, and new church start ministry. He is a published author and has contributed articles and led workshops on organizational dynamics and change. He has also coached several congregations in revitalization and transformational processes. In his spare time, Doug trains for triathlons and enjoys biking, reading books, swimming, watching movies, running, journaling, hiking, kayaking, and Nordic and alpine skiing. He and his wife Debbie enjoy life together, their family, and their two dogs in Adel, Iowa. Jane was born and raised in Texas, a fact you can confirm when you hear her accent. She spent almost half of her life in rural Texas, several of those years as a ranch wife and mother. 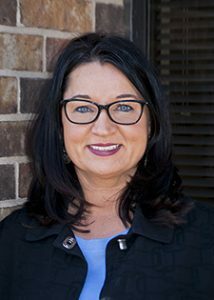 After earning an undergraduate degree from Howard Payne University and a master’s degree from Angelo State, Jane later graduated from Texas Tech University School of Law. Her legal practice has included family law, bankruptcy, and wills and probate. With her husband, Jim Cioffi, Jane went on to form two companies that provide financial counselling and education to people who find themselves in difficult and desperate circumstances. Her mission has been to help them recognize and accept where they are, aid them in navigating the legal system, and encourage them to rekindle their hope for the future. Jane believes deeply in the New Beginnings program. She has seen that many churches today are caught up in circumstances similar to her clients: They need another pair of eyes to help them see their current reality, and information and ideas to help them create a new future. 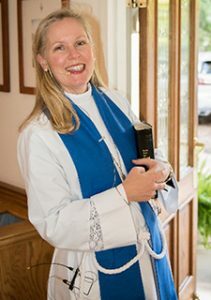 Jane currently serves as the Senior Warden at her home church, St. Stephen’s Episcopal, in Hurst, Texas. She and Jim live in Grapevine, where Jane recycles and composts—according to Jim—almost obsessively. Whether to foreign destinations, their grandchildren, or Jim’s family in New England, they love to travel. Linda finds true purpose in the ministry of assisting congregations to recover their drive and inner spirit! Her commitment to them is rooted in the belief that congregations and clergy are deeply in need of support, especially in today’s culture. She currently serves on the ECBF team as Executive Administrative Assistant, working to further the development of innovative products for Consultative Services, supporting the loan programs and executive level. 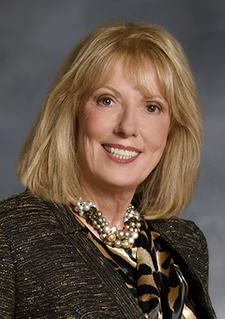 As an alumna of Marshall University School of Journalism, Linda’s original plan was to pursue a career in communications. A different door opened after college, however, when she was offered a position at Duke University Medical Center. She found a path in organizational management—or, rather, the path found her—and she subsequently became an entrepreneur, where her communications skills are well used to this day. In her professional tenure, Linda has created programs for patients with special needs and facilitated training seminars with large groups. An Area Director for 12 medical clinics, she utilizes her marketing and management skills to supervise a staff of 33 and all operations. Her education and penchant for journalism and creativity continue to serve her across a variety of settings. Linda launched her own faith-based business for women in 2011 and continues to grow her impact. 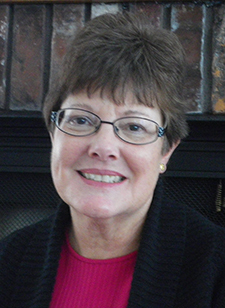 Born and raised in West Virginia, Linda and her husband, Jim, reside in Chesterfield, Virginia. 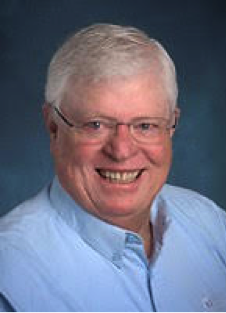 Jim, a native of Grosse Point, Michigan, is a retired Project Manager with Unisource Worldwide Corporation. 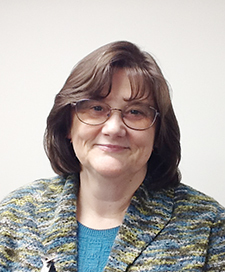 Marjorie has worked with Hope Partnership since 2014 and is currently serving as a pastor at Westminster Presbyterian Church in Decatur, Illinois. In her previous ministries, Marjorie became very familiar with the struggles facing small churches in rural areas and has worked to develop creative solutions to address them. She has also worked with churches facing unique situations, including one congregation that lost everything in an electrical fire and had to rebuild literally from the ground up, as well as a congregation that had to sell their building and merge with another church due to financial struggles. Marjorie has a heart for small group ministries and truly enjoys the challenge of exploring non-traditional ways to ‘be the church’ in today’s society. P.J. comes to his work as an Assessor with Hope Partnership through his work in camp and conference ministry of over 20 years. He has served as both a Program and Executive Director in the camp and conference world. P.J.’s ministry has taken him to numerous churches to hear their stories and work with them to create opportunities for reflection, discernment, and growth—all natural fits with what Hope Partnership is about! In his personal life, P.J. is married and is a father to two teenage daughters who keep him busy with their involvement in swimming, theater, and other activities. He is an ordained ruling elder in the PC(USA) and holds a degree in communication from the University of Oklahoma. 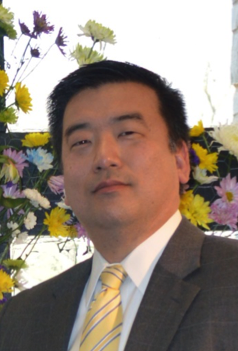 Pastor and consultant Henry Kim has the desire to see all churches and Christian organizations foster the formation and growth of courageous leaders. With over three decades of experience in coaching, pastoral ministry, consulting, but most importantly, real-life, in-the-trenches experience in both pastoral and secular organizations, Henry brings a unique perspective to his work. Currently, Henry is the Senior Pastor at Brunswick Church, a large Presbyterian Church in the Capital region of New York. Henry has served in ordained ministry for over 15 years, and before entering the ministry, he was an officer in the US Army for almost 10 years. Henry has been working as a coach and consultant for over two decades. He has worked for and with Hope Partnership for more than eight years as a consultant, partnering with over 50 churches to help them get “unstuck” and move forward. 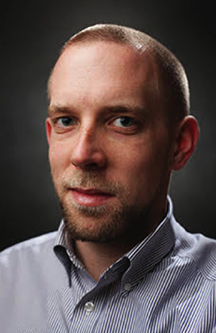 Henry holds a Master of Divinity from Fuller Theological Seminary, a bachelor’s in political science and journalism through Indiana University, and a bachelor’s in chemical engineering from Rose-Hulman Institute of Technology. He is currently finishing an MBA from Crown College and is also a certified Gallup Strengths Coach. He is an ordained Minister of Word and Sacrament in the Presbyterian Church (USA). InHo grew up in a small Midwestern town in Michigan and is a graduate of the University of Michigan as well as of San Francisco Theological Seminary. He is ordained as a pastor in the Presbyterian Church U.S.A. and has worked at Cameron House in San Francisco, serving underprivileged youth and families. 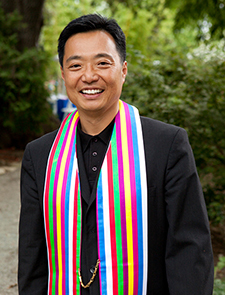 He has also previously served as a co-organizing pastor of Mission Bay Community Church, a new church development in the heart of San Francisco. Today, InHo pastors First United Presbyterian Church, a small Asian church in San Francisco. Since 2012 has also served as a staff member of the Presbytery of San Francisco, caring for pastors and churches in the San Francisco Bay Area, and as an assessor in the New Beginnings Program. InHo strives to discern God’s vision in all places of his life and especially in his work with pastors and churches. He loves being with people where they are and journeying with churches and pastors as they discern where God is leading them. While discernment and change is difficult work, InHo believes that it is greatly needed and is excited to be part of the process of transformation. InHo currently lives in San Francisco with his wife, who is also a PCUSA pastor, his son Ian, his daughter Isabella, and their dog Finn. InHo can be found in local coffee houses all over San Francisco and on hiking trails by the ocean with his dog. He loves cooking, playing his guitar, eating good food, drinking good spirits, travelling, and spending lots of time with his family and his friends. Dave is the Director of Ministry Support (Executive Pastor) at the First Presbyterian Church of Edmond, Oklahoma. Prior to his work with a large congregation, Dave was a church planter in Lee’s Summit, Missouri, starting and developing the New Summit Presbyterian Church and serving as its pastor from 1993 until 2016. Prior to 1993, he was a pastor of a two-church parish in rural South Dakota. Dave has a heart for church planting, development, and transformation. He has served as a coach for church planters since 2001, as a facilitator for the Healthy Congregations workshop offered by the Lombard Mennonite Peace Center, as a New Beginnings assessor since 2014. He holds a bachelor’s degree from the University of California, San Diego, and earned a Master of Divinity from Fuller Theological Seminary in Pasadena. Dave is married to Ronda, with whom he has two grown children, and they became first-time grandparents in August of 2016. When not boasting about the wonders of his granddaughter Nora (pictures are available), Dave is an avid CrossFitter and weightlifter. He can often be found experimenting with the art of Kansas City-style barbeque. John joins the Hope Partnership team with an extensive background in nonprofit management and community involvement. After relocating to Northern California to be closer to family, he has been doing consulting work facilitating strategic retreats for private schools, charities, nonprofit agencies and foundations. He is an active member of First Congregationalist Church, Santa Rosa, where he is a member of the Finance and Management Team. 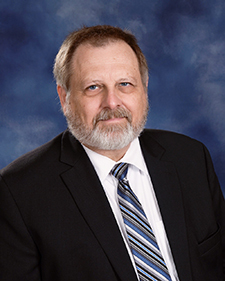 John currently serves as the corporate secretary on the Insurance Board of the United Church of Christ. After a productive banking career, John was Executive Director of the Hawaii Conference Foundation, United Church of Christ, where he managed the endowment funds, market investments, and real estate operations with a market value of over $100 million. He also served on major fund-raising capital and endowment campaign teams for Aloha Council Boy Scouts, First Congregational United Church of Christ in Santa Rosa, Mission Houses Museum, Moloka’i Museum and Cultural Center, Hawaiian Music Foundation and Aloha United Way. John holds a Bachelor of Arts from Yale University and a Master of Business Administration from Hawaii Pacific University, as well as professional certificates from University of Hawaii (Advanced Management Program) and University of Washington (Pacific Coast Banking School). 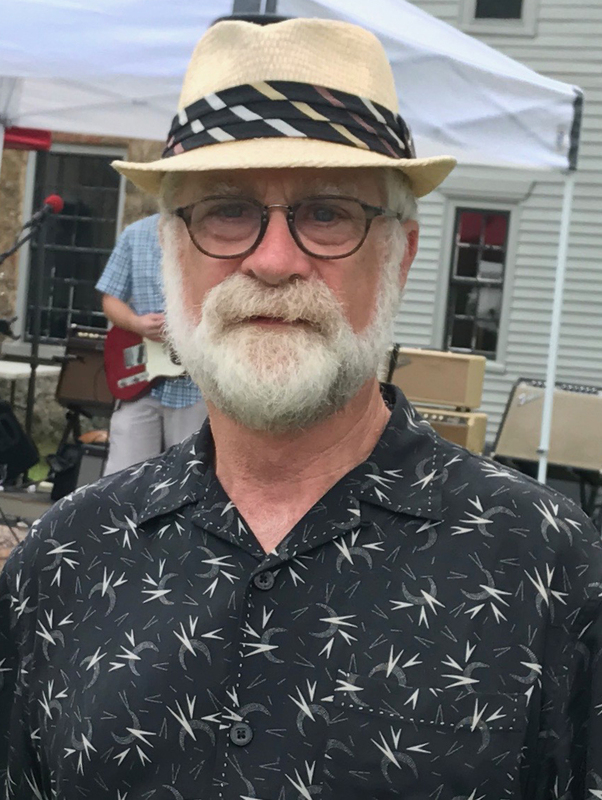 John and his wife Lyn enjoy spending time with their grandchildren, golfing, fishing, choral music, and John plays bass guitar with the Oakie Folkies. 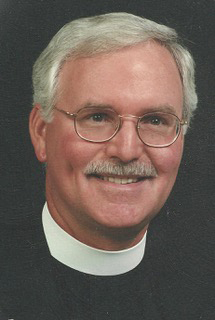 In Peter’s 11 years as an Associate Conference Minister with the Massachusetts Conference of the United Church of Christ, he had the opportunity to work with over 170 congregations and hundreds of pastors and lay people. He has also served as the coordinator of the conference’s justice and witness programming. Prior to coming to Massachusetts, Peter pastored the New Ark United Church of Christ in Newark, Delaware, for nearly 18 years. A Just Peace and Open and Affirming church, the congregation was a new church when he arrived. During this time Peter also worked as a consultant to support the development of the UCC Justice and Peace Action Network. He has served as a New Beginnings Assessor since 2014. Peter holds a bachelor’s degree from Heidelberg University (the one in Ohio), a Master of Divinity from Colgate Rochester, and a Doctor of Ministry from Wesley Seminary. Ordained in 1974, Peter served two congregations in Massachusetts and Connecticut and was a community organizer in Hartford prior to moving to Delaware. Peter and Joanne have been married for 48 years and have two sons and two grandsons (pictures available upon request). When he has time, Peter also likes to turn square pieces of wood into round objects. Ruth is an ordained minister of the Christian Church (Disciples of Christ). For over thirty years, she has served congregations and regions. She currently serves as the Regional Minister for the Christian Church (Disciples of Christ) in Montana. Ruth holds a teaching degree and she has led transformational conversations in hundreds of churches, in several regions, in the College of Regional Ministers, and in the General Board of the Christian Church. She has worked as a consultant for Hope Partnership since 2012. Ruth received her Doctor of Ministry degree from the School of Theology at Claremont. She has authored resources regarding peace education, congregational discernment, and Disciples Elders. Her most recent book is entitled Thrive: Spiritual Habits of Transforming Congregations. 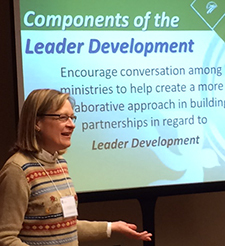 An ordained minister in the Christian Church (Disciples of Christ), Annell George-McLawhorn also serves as a facilitator with Hope Partnership, where she brings leadership skills and training to a wide variety of congregations. Annell believes that as children of God, we are called to be the hands and feet of Christ in our communities and in the world. She trusts that through spiritual discipline and honest reflection, we can discern where our greatest joy and our neighbor’s deepest need intersect. This intersection can bring us life in the present and hope for the future! Encompassing both traditional and non-traditional roles, Annell’s more than 30 years of ministerial service has included service as a senior pastor, associate regional minister, interim minister, chaplain, and disaster relief coordinator. Annell firmly believes ministry is most transformative when it is lived out in the secular world, and her non-traditional ministerial roles include educator, school administrator, and most recently, private business owner. Annell holds a Master of Divinity from the Brite Divinity School of Texas Christian University and a master’s degree in school administration from East Carolina University in Greenville, North Carolina. Her undergraduate degree is in music and religion from Phillips University in Enid, Oklahoma. She and her husband live in beautiful eastern North Carolina, where she has facilitated leadership training events with Hope Partnership since 2013. 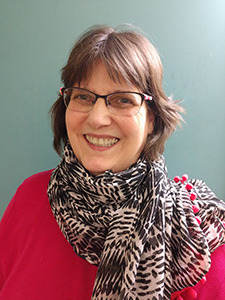 Kathleen comes to her work with Hope Partnership following a cherished 30-year career in congregational ministry. Her passion for finding the spark and nurturing the best in all to serve God and neighbor drives her work with Hope Partnership. 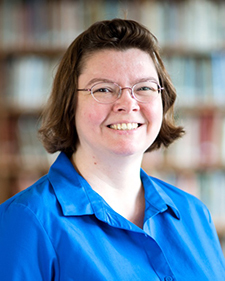 A graduate of Oberlin College and Yale University Divinity School, Kathleen is ordained in the Christian Church (Disciples of Christ) with partner standing with the United Church of Christ. Raised in the United Methodist Church and having served ecumenical chaplaincies on college and university campuses partnered with Presbyterians, Episcopalians, UCC, and Disciples, she is a designated “ecumaniac” with devoted love for her ordaining movement, the DOC. Most recently Kathleen guided her mid-sized urban/suburban congregation to re-evaluate its resources for developing affordable housing on their campus and led it into becoming joyously open and affirming. She believes that how we transform our buildings, our ministries, and our considerable human resources into relevant and innovative Holy Places is one of the more important tasks at hand. Kathleen is married to Allen Moore, and together they have five children and five grandchildren. She spends time outside of her work with Hope Partnership babysitting, taking dance classes, cooking, reading, and giving thanks. One of her most cherished moments was dancing arm in arm with her mentor and spiritual guide, the Archbishop Desmond Tutu, but that’s a much longer story! Since 2012, Cristie has worked to inspire pastors and congregations through missional transformation with Hope Partnership. Audiences find her humorous—and sarcastic, when provoked—approach to facilitation a delightful respite from ordinary formats. In her local church, Cristie has taken the “bored” out of Board Chair, revolutionized the Search Team process, and brought the fun as the Sunday Worship Leader. She understands both the joys and sorrows laity and pastors experience as they create inspirational community together. Outside of church, Cristie is a trusted real estate advisor with RE/MAX, where she has been the team leader, creative genius, and negotiating specialist since 1998. Cristie’s understanding of the private sector has provided tremendous insight to her facilitation work with Hope Partnership. Cristie holds a master’s degree in special education from the University of Missouri and is a lifelong resident of Kansas City, Missouri. Married to Jason for over 16 years, she also has two hilarious sons. Cristie’s hobbies include travelling the world “local style” and winning at anything competitive. Jean is an ordained minister of the Christian Church (Disciples of Christ) and has ordained ministerial standing with the United Church of Christ. 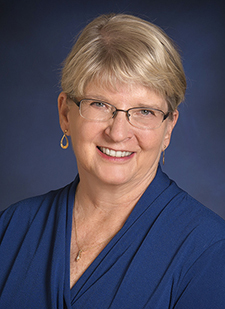 Jean currently serves as the Interim Minister of Spiritual Development and Congregational Life at Trinitarian Congregational Church (UCC), in Concord, Massachusetts. She holds a doctorate in Practical Theology from Boston University School of Theology, a Master of Divinity from Lexington Theological Seminary, and a bachelor’s in history from the University of Florida. Prior to her relocation to Boston to pursue doctoral studies, Jean served as the pastor of diverse Disciples congregations in Kentucky, North Carolina, and Seattle, Washington across 26 years, as well as a term of mission in Paris, France. Jean gravitates to local mission efforts for social justice, particularly youth homelessness, and for improved ecumenical and race relations. Ultimately, the Good News of the Reign of God happening now is what makes her alive and leads her to care deeply for the witness of the church. Jean and her husband, Steve, reside in Quincy, Massachusetts. Steve is also an ordained Disciples minister, serving Hough’s Neck Congregational Church (UCC). Their adult son, Nathan, and his wife, Alena, live and work in Boston, and let Jean and Steve take care of grand-dog, Chloe. Jean enjoys movies, history, art and architecture, baking, travel, some sports, and many forms of exercise, such as hiking, biking, and Zumba. Jack was born and raised in Pittsburgh, Pennsylvania, and yes, he continues to root for the Pirates and Steelers! He graduated Hobart College in Geneva, New York, and the Yale University Divinity School, after which he was ordained a Deacon and Priest in the Episcopal Church. 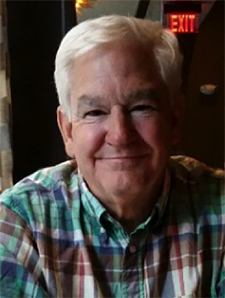 He served on the staff of the Fox Chapel Episcopal Church in Pittsburgh for three years before being called to serve on the Bishop’s staff in Episcopal Diocese of Western Michigan to create and implement efforts to support congregational development and vitality. In 1986, he was called to be the Rector of the Church of Our Saviour in Silver Spring, Maryland — a growing international and multicultural congregation just outside Washington, D.C. Then, in 1997, he was called to be the Rector of St. Paul’s Episcopal Church in Dayton, Ohio. In 2011, he joined the Bishop’s staff in the Diocese of Southern Ohio (Cincinnati), serving as the Canon to the Ordinary. Jack’s main responsibility centers on his passion: congregational development, mission planning, and leadership development. Jack’s ministry is focused on congregational health and vitality as both a pastor and as a judicatory leader. He is convinced that regardless of its size, location or complexity, a congregation is at its gospel best when it is able to turn itself inside out, by seeing the whole neighborhood in which it is located as the parish, and the members of the congregation as missioners in and among that parish. Jack is eager to facilitate and coach congregations in making that discovery and encouraging them to engage anew in mission and ministry. Jack is happily married to his wife, Nanci, who is a member of the staff of a local preschool and kindergarten. Jack and Nanci have two married daughters, one who lives in Washington, D.C. and the other who lives nearby in Cincinnati. When Jack has spare time, he enjoys outdoor sports, cooking, and reading. Kedron has 16 years of ordained ministry experience in the Episcopal Church joyfully helping all ages engage with the Gospel through worship, education, and service. Kedron is a graduate of the University of Georgia, where she earned her degree in anthropology. 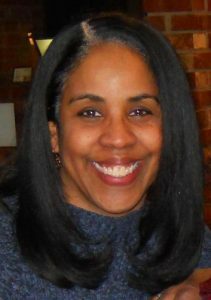 She went through the discernment process in the Diocese of Atlanta and, after graduation, worked for Church of the Saviour, an ecumenical, outreach-minded organization of small churches in Washington, D.C. Kedron later entered seminary at Virginia Theological Seminary, graduating in 2002, and was ordained deacon and priest in the Diocese of Atlanta. Kedron has served a wide variety of parishes in all levels of leadership. She recently led a mid-sized parish into its next chapter of ministry, empowering them to achieve their goal of looking more like the surrounding neighborhood: more colorful, more varied in economic levels, and more diverse in sexuality. Her passion for her work with Hope Partnership stems not only from witnessing its effectiveness in leading parishes to bold decisions, but also from personal experience in asking, “Where is God calling us, and who can help us move toward that calling?” She is proud to answer “Hope can help!” Blending her pastoral intuition with dynamic facilitation skills, Kedron brings a fresh, loving, engaging style to her work with Hope. Based in Jacksonville, Reverend Kedron is married and has twin boys. She loves soccer, big handbags, cooking, and reading, and she dreams of travelling to exotic places when her boys get older. Clearly, her superpower is multi-tasking. Raised in a family of clergy, Sally currently serves as Vice President of the Episcopal Church Building Fund (seconded). She is proud to minister in partnership with ecumenical colleagues to grow with congregations and initiate a new era of church visioning and mission. Prior to joining Hope Partnership, Sally acted as Vice President of the Episcopal Church Building Fund in New York City and Richmond, Virginia. She joined the fund after twelve years with Episcopal Migration Ministries/Presiding Bishop’s Fund for World Relief in New York. Sally’s formidable passion for church growth spurred her to develop multiple programs and resources for churches to use in their individual journeys, facilitating the process for congregations to become financially self-sustainable and relevant to the people who live in their community. The resulting resources help churches to know their budget, the building needed for their future, and still be friends at the end of the process. 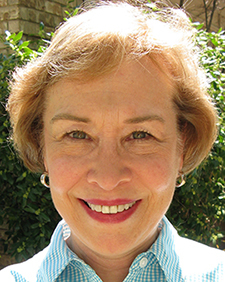 In her previous work in Episcopal Migration Ministries, Sally developed a nationwide network of parish and diocesan volunteers to sponsor and resettle refugees of the post-Vietnam war Indochina boat flow, Cuban-Haitian boat flow, and from conflicts in Afghanistan, Iran, Iraq, and Sudan. She also negotiated in the first Cooperative Agreement between faith groups and the U.S. State Department, served on the Board of the International Council of Voluntary Agencies in Geneva, Switzerland, and represented the Episcopal Church at forums on the protection of children of Apartheid and the Intifada. 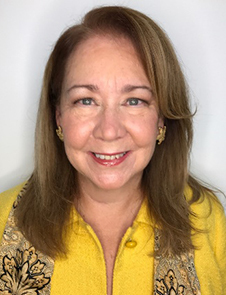 Sally holds a Bachelor of Social Work from Syracuse University as well as a Master of Social Work from Fordham University. She is trained in family therapy, hypnotherapy, and cognitive behavorial therapy, in addition to other modalities. Sally has also earned a Master of Science in Non-Profit Management from the New School for Social Research. Sally found the lid for her pot in marriage to Tom O’Brien, with three cherished adult step-children living in Richmond, Virginia. Amanda has lived in Dayton, Ohio for over 40 years and has been a parishioner at St. Andrew’s Episcopal Church, a small urban parish, for the last 25. While at St. Andrew’s, Amanda held a variety of leadership roles, including Vestry member, Junior Warden, and member of the Food Pantry and Finance Committees. Similar to many of Hope’s partners, St. Andrew’s experienced a time of discernment and hope for their parishioners, making the courageous decision to close on April 8, 2018. Since 1993, Amanda has served as Chair and Professor of the Design Department at Sinclair Community College in Dayton. She holds a Master of Design from the University of Cincinnati, and a bachelor’s in psychology from Wright State University. Amanda’s experiences with both faculty and students have been both fulfilling and humbling, and she has been a recipient of numerous awards and achievements during her tenure. Amanda is also a co-owner of Romerofisk Designs, a graphic design business founded in 1995. Amanda loves giving back to the Dayton community and has served in many different capacities with numerous organizations, from school advisory boards to the Dayton Peace Museum, the Dayton Episcopal Food Pantry, and the Humane Society. Married to Pierre for 23 years, Amanda enjoys her role as a grandmother and great-aunt! If that doesn’t keep her busy enough, Amanda also co-hosts a weekly radio show, Jazz Beat, and enjoys watching old black-and-white films in her spare time. AJ is an Episcopal priest serving two small parishes (St. Peter’s Episcopal Church in Gallipolis, Ohio, and Christ Episcopal Church in Ironton, Ohio) in his native rural Appalachian region of the Diocese of Southern Ohio. Before becoming a priest, AJ earned a bachelor’s degree in social work from Ohio University and practiced as a Licensed Social Worker. He was ordained in 2015 after earning a Master of Divinity from Bexley Hall Episcopal Seminary. One of the forces behind AJ’s call to ordained ministry has been God’s invitation to live in reconciled and intimate community. AJ was drawn to the role of Facilitator for Hope Partnership after walking with one of his parishes through a similar process. He was a firsthand witness to the Spirit’s ability to breathe new life into a place when the Body of Christ is focused on the Gospel and discipleship in its community, and not on survival. AJ’s spouse, Steven, is a professor of music for Ohio University in Athens, Ohio, and an orchestral conductor. They live in Gallipolis, Ohio, where they open their home to foster children from the surrounding community. In a humorous example of how important relationships are in small communities, the 190-year-old Gallipolis home that AJ and Steven first moved into turned out to have been owned by a former parishioner, who was the sister-in-law of a former rector, who in turn is the grandson of the parish’s priest in the early 1900s! Robin has served churches in Puerto Rico and Northern New Jersey as an Associate Pastor, a Solo Pastor, a Co-Pastor, and a Lead Pastor. The majority of her more than 20 years of ministerial experience have been in interdenominational settings. Robin holds a Master of Divinity and Master of Theology from Princeton Theological Seminary as well as a bachelor’s from Binghamton University (SUNY) in Spanish language and literature. She has training in conflict management and mediation, transitional ministry, and family systems, as well as in coaching. Additionally, Robin is also a trained facilitator with Healthy Congregations and is a member of the International Coach Federation. Her greatest asset in ministry, though, is her sense of humor. Robin lives in Sparta, NJ, with her husband, Carlos, and two children. She currently works as the Resource Presbyter for the Presbytery of Newton, runs her own coaching business, RobinCMC Coaching and Consulting, and is thrilled to be working with Hope Partnership doing her favorite work: helping individuals and churches discern where God is leading them and laying the spiritual groundwork for following the Spirit in faith. The Rev. 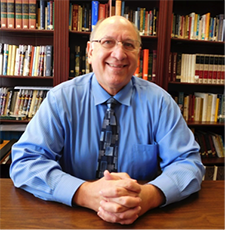 Bill Lawser is a Teaching Elder in the Presbyterian Church (USA). 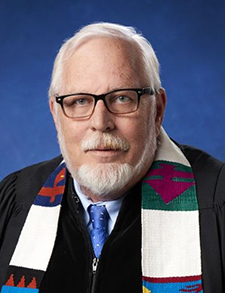 A native of eastern Pennsylvania, he was ordained in 1979 and has served the church from coast to coast as an associate pastor, interim pastor, and as a member of presbytery staff. For the past 20 years, Bill’s ministry has focused on congregational transformation and leadership development. During this time he has served as faculty at several sites for interim/transitional pastor education for the Presbyterian Church (USA). Beginning in 2011, Bill served as an assessor and trainer for the New Beginnings process within the PC(USA). He is excited to be serving as a facilitator with Hope Partnership for Missional Transformation and continuing to work with pastors, congregations, and their leaders in sharing his enthusiasm for new possibilities for ministry during times of change. Michael has served as a New Beginnings assessor, facilitator, and administrator since 2010. 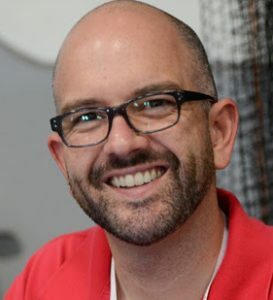 He graduated from Louisville Presbyterian Theological Seminary in 2011 with a Master of Divinity and completed a trauma chaplaincy CPE residency in 2012 at University of Louisville Hospital. He has been employed by the Presbyterian Church (USA) and the Christian Church (Disciples of Christ) national denominations providing New Beginnings services to a wide range of the current ecumenical partners. His interests in demographics, congregational systems theory, emotional intelligences, and website design have been a great asset as he interacts with congregations and regional judiciaries discerning new ways of being Church. Currently, Michael is the Head Brewer at Holsopple Brewing in Louisville, KY. He enjoys travelling with his wife and daughter, road biking, backpacking, home brewing, climbing Colorado’s Fourteeners (six down, fifty-six to go!) and cheering for the Atlanta Braves. Priscilla serves with the Church Building and Loan fund of the United Church of Christ as a Regional Mission Interpreter for congregations in nine central Midwest states. Previously, as Capital Fundraising Executive with the fund, Priscilla guided congregations through 16 campaigns that raised more than $8 million total. Prior to joining the Church Building and Loan fund, Priscilla spent twenty years in development work with two seminaries and a health and human services organization—all within the UCC. Her passion for this work is rooted in nurturing congregations to deepen their faith in God’s abundance and expand their generosity in response to the ministry they do in Christ’s name. Priscilla has also served as Associate Minister of a large suburban church in the Cleveland, Ohio, area as well as minister of a small congregation west of Cleveland that tripled its membership in the ten years she served there. She is an ordained minister of the United Church of Christ and holds a Master of Divinity from Andover Newton Theological School, formerly located in the Boston area, and a Doctor of Ministry from Eden Seminary in St. Louis, Missouri. Priscilla and her husband, also an ordained UCC minister, live in the St. Louis area and are the parents of a daughter who will graduate from college in the spring of 2018. Priscilla enjoys international travel and has been to Europe, the United Kingdom, Thailand, China, and India. Among her other interests are reading mysteries and knitting prayer shawls for her local church. Following his recent retirement from full-time ministry after serving as Senior Pastor of First Christian Church (Disciples of Christ) in Colorado Springs, Colorado, Dr. Charles (Chuck) Blaisdell recently joined the staff of The United Church of Christ Church Building and Loan Fund as Regional Mission Interpreter for the Western Region. Prior to his ministry in Colorado Springs, Chuck served as pastor of the Hilo Coast United Church of Christ in Honomu, Hawaii, as well as Regional Minister for the Christian Church (Disciples of Christ) in Northern California and Nevada. He has also been on the staff of Christian Theological Seminary and Vanderbilt University. Chuck holds degrees from Texas Christian University, the University of Chicago, Vanderbilt University, and Christian Theological Seminary. In May 2012, he was awarded an honorary Doctorate of Divinity degree by Christian Theological Seminary. He has also published a number of sermons, articles, and book reviews, and is the editor of the book Conservative, Moderate, Liberal: The Biblical Authority Debate. He currently chairs the Board of Directors for Chalice Press/Christian Board of Publication, the publishing ministry for the Disciples, and is a part-time “Ministry Assistant” for the Week of Compassion. He and his wife, the Rev. Barbara Blaisdell, who serves as Senior Pastor of First Christian Church (Disciples of Christ) in Tacoma, Washington, have four children and two grandchildren. 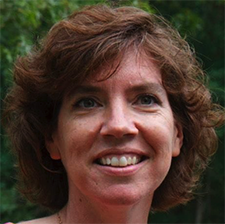 Jill brings over 20 years’ experience in stewardship and fundraising to the position of Regional Mission Interpreter. A lifelong member of the United Church of Christ, Jill has served as Chair of numerous stewardship and capital campaign committees at the local church, Association, and Conference levels. Recently, Jill served as the Central Atlantic Conference’s Chair of the Local Arrangements Committee for General Synod 31. A member of the Western Maryland chapter of the Association of Fundraising Professionals, Jill has completed coursework for the Lake Institute on Faith and Giving executive certificate in religious fundraising program. She is also a member of Strategic and Competitive Intelligence Professionals, earning Fundamental and Advanced certification. Jill holds a Bachelor of Arts in Biology and a Master of Science in Biomedical Sciences from Hood College. She joins the Church Building and Loan Fund following a 23-year career in the Biotech industry.